So far pizoadmin has created 9 blog entries. What are Multilayer Piezoelectric Actuators? Multilayer piezoelectric actuators, also known as stack actuators, are exactly what they sound like: it’s a stack of multiple thin piezoelectric actuators. Due to several properties of piezoelectric crystals, this results in a multiplicative effect on the individual components’ output for the same voltage. In other words, where a single piezo actuator may expand by half a millimeter at 50 volts, a piezo stack actuator comprised of 100 actuators would expand by 50 millimeters for the same voltage. There are two types of multilayer piezoelectric actuators: discrete stacks and monolithic stacks, and the most important difference is their differing operational voltages. Why would you use a Multilayer Piezoelectric Actuator? Multilayer piezoelectric actuators allow one to use piezoelectric materials to apply a much wider range of forces and displacements in a similarly wide range of operational voltages. This allows piezoelectric pieces to replace pieces made from other materials in extreme conditions (i.e. vacuums), where the later would be inoperable or implausible. In other words, multilayer piezoelectric actuators amplify the power of piezoelectric actuators and effectively extend their applications. Why is Piezo Direct the Best Choice? Multilayer actuators intrinsically require many specifications and customizations. Everything from the operational voltage to the displacement generated can be changed based on engineering choices (i.e. how many slabs are included). Piezo Direct is the perfect supplier for that. While we supply off-the-shelf designs, we also allow essentially total customization and specifications on our multilayer piezoelectric actuators, which gives you the ability to utilize the flexibility and volatility that these actuators intrinsically have, and all at a very competitive price. In the last decade, piezoelectric bimorph applications worldwide have expanded dramatically. A new class of miniature, highly-specialized instruments, alarms and sound production devices, requiring very low power consumption, are needed in countless emerging applications. Piezoelectric manufactures are now able to provide piezoelectric product solutions to companies that in the past could not afford the steep, upfront design fees, especially for their new products that sometimes take years to ramp up to sufficient production levels. Piezoelectric products are indeed very complex and can be quite difficult to design and manufacture. Rising to this need to reduce the cost of state-of-the-art piezoelectric products, a new class of piezoelectric companies have now developed innovative production techniques to cost-effectively provide fast-to-market, low-production-run samples of multilayer piezo actuators. These specialized piezoelectric companies can now deliver testable piezo-based production samples in a matter of weeks. In the past, piezoelectric manufacturers needed to charge substantial upfront development fees, forcing companies to find other older, less power efficient solutions, instead of enjoying the incredibly cost-effective and low-power advantages of piezoelectric-based products and multi-layer piezoelectric actuators. Piezoelectric component manufacturers are now enabling ‘short-runs’ of unique, one-of-a-kind piezoelectric bimorphs, as well as piezoelectric transducers and other classes of piezoelectric products, greatly expanding the total available market. 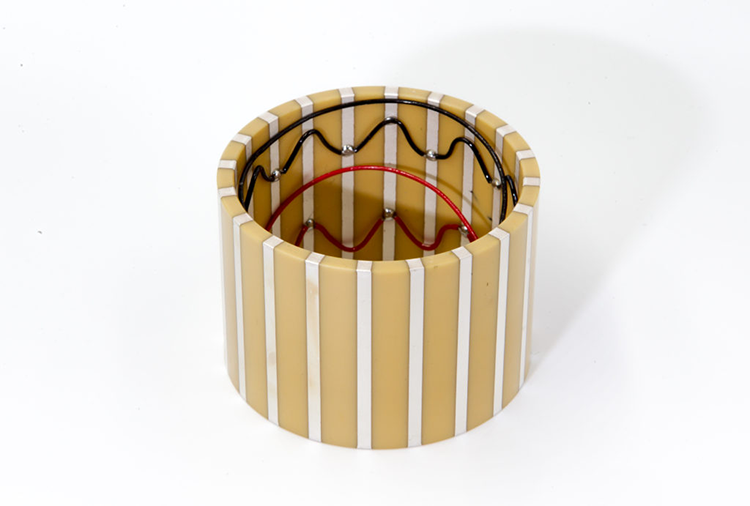 Piezoelectric bimorphs involve two separate pieces of piezoelectric ceramic put together in such a way that when a voltage is applied, the piece bends. This is a way to greatly magnify the power and range of a piezoelectric actuator, while using very little electrical current. While a single piezoelectric crystal can only shrink or expand by a few millimeters at most, bimorphs can bend well over ten or a hundred times that range at the same voltage. The right piezoelectric company partner can manufacture fast-turn piezoelectric product samples for a wide range of sound production products requiring extremely low power, in smartphones, miniature alarms, sophisticated micro-buzzers, electric cars and many other sound producing devices. Piezoelectric bimorphs products are integrated into applications in the form of disc actuators, commonly seen in valve, pump, and fan control applications, especially those on a microscopic scale. For instance, in the newest class of inkjet printers, extremely small nozzles with a piezoelectric bimorph at the base are used to deploy ink more precisely than ever before. When voltage is applied to any given piezoelectric-based component in the printer, the piece quickly flexes, sends a shockwave through the nozzles, efficiently pushing ink out the tips. This is both precise and consistent, as it is easy to control the amount of ink propelled through the nozzle, while reasonable control over the voltage applied results in very consistent movements from the piezoelectric piece. This is just one example of many emerging designs and applications being addressed by piezoelectric manufacturers. Why Piezo Direct a Best Choice For Small to Medium Piezoelectric Production Runs? Piezo Direct is an established piezoelectric manufacturer focused in producing and quickly delivering just the right quantities of very high quality, high performance custom piezoelectric products, built precisely to your custom design needs. Complex designs are one of our specialties, combined with extremely competitive prices normally only seen in large production runs. Please call Piezo Direct to find out more about our wide range of piezoelectric bimorph capabilities, as well as other piezo ceramic solutions that we offer worldwide. Our engineer and design teams, with years of success in piezoelectric manufacturing, guarantees your company the best piezoelectric solution possible. You can find us online at www.piezodirect.com. Call Piezo Direct today, at our headquarters in Burlingame California, at 650-375-7003. Piezoelectric bimorphs, as the name suggests, involve two separate pieces of piezoelectric ceramic put together in such a way that when a voltage is applied, the piece bends (only actuators do this, of course. Sensors and other applications may vary). This is a way to greatly magnify the power and range of a piezoelectric actuator. While a single piezoelectric crystal can only shrink or expand by a few millimeters at most, bimorphs can bend well over ten or a hundred times that range at the same voltage. These designs are extremely common in sound production; one can often find a piezoelectric bimorph in fire alarms, buzzers, and other sound producing devices. Why would you use a Piezoelectric Bimorph? Aside from sound production, piezoelectric bimorphs see applications in the form of disc actuators; these are commonly seen in valve, pump, and fan control, especially on a microscopic scale. An example of such is the inkjet printer. In some designs, extremely small nozzles with a piezoelectric bimorph at the base are used to deploy ink; these form a massive array of nozzles covering a page. When voltage is applied to any given piezoelectric base, the piece flexes quickly and sends a shockwave through the nozzle, pushing ink out the tip. This is both precise and consistent, as it is easy to control the amount of ink propelled through the nozzle, and reasonable control over the voltage applied results in very consistent movements from the piezoelectric piece. Again, this is just one of many many designs and applications of piezoelectric bimorphs. Piezo direct makes very high quality and high performance pieces to your custom designs. Not only can we handle complex designs, but we can also provide you with very competitive prices for said designs. Quality, price, and customization is all here, and considering the very wide range of applications and designs piezoelectric bimorphs can take, it’s only natural that we are the safest choice. Shape, size, material, you name it, our engineers can guarantee satisfaction without an unreasonable cost. Transducers are devices that convert one form of energy into another and can be categorized into many different kinds. Sensors and actuators are both kinds of transducers, with categorization being determined by the direction of the information passed through them. Piezo transducer applications vary greatly. Microphones and guitar pickups convert sounds or vibrations into electrical energy; keyboards sometimes use piezoelectric transducers to detect keystrokes; the list goes on. The most canonical application of piezo transducers was in World War I, where quartz was used to construct a sonar for submarine detection. Why would you use a Piezoelectric Transducer? Piezoelectric transducers are extremely versatile and flexible, across a wide range of applications. Whereas traditional transducers face issues with operational conditions and shapes (one likely can’t easily make a banana-shaped traditional transducer, for instance), piezoelectric transducers have virtually no restrictions in these regards. Furthermore, they are extremely responsive to change, both in terms of speed and range. 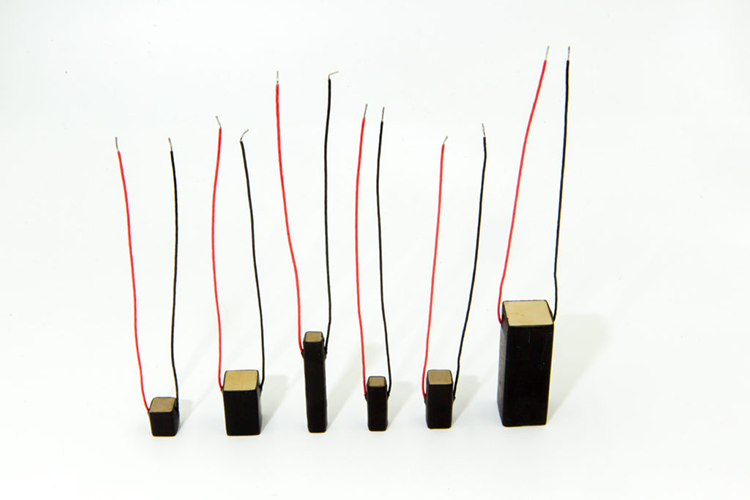 As mentioned above, piezo transducers can take on a large variety of shapes and sizes. On top of that, operational input and output ranges may also need to be tuned for a design to work, and other solutions such as transformers and amplifiers can easily introduce error and design complications. Piezo Direct’s high degree of customizability and competitive pricing makes Piezo Direct the best piezoelectric manufacturing partner you can find! Please call us today for more information, in California, at 650-375-7003 or email us at info@piezodirect.com. What Sets Piezo Direct Apart? The piezoelectric effect isn’t something most are familiar with despite its prevalence in technology. Ask someone how their printer works, and most would fail to provide an answer, and if they do, it probably won’t be about piezoelectric crystals. To be fair, it is an obscure topic, and its applications are currently limited due to technical concerns. Even so, piezoelectrics do see growth in technology today. From hearing aids to ultrasound to microscope focuses, there seems to be no limit to what piezoelectrics could do. We just haven’t thought of how. Let’s say Company A manufactures piezoelectric components and Company B needs said components to make an ultrasound machine. Company B would approach Company A and buy a bunch of components, which it would then send to its factories to use. It’s possible that Company B’s ultrasound machine design wasn’t compatible with Company A’s piezoelectric components and needed an extra transformer or amplifier to make it work properly, which would slow down Company B’s production. That’s what a lot of manufacturer-customer interactions may look like, and there’s not much Company B can do about it. Other manufacturers in the piezoelectric industry are mostly just like Company A – they offer limited customization that can cause compatibility issues with designs of more complex products. Piezo Direct isn’t like Company A. If Company B were our customer, they would tell us what the piezoelectric component needs to be able to do (in terms of input & output range or shape), and we would make it. It’s that easy: you just tell us what to make, and we’ll make it for you at a competitive price. No other company offers the kind of customization that we do, and if you’re in Company B’s predicament, then you need Piezo Direct. Piezoelectric sensors are transducers that convert environmental conditions into readable and usable electrical signals. There are two types: active and passive. The former sends ultrasonic signals and waits for a response, after which it releases an electrical signal. Information regarding distance and depth can be obtained when analyzing the delay. The latter only send signals when they receive inputs and do not do anything otherwise, hence the name. More details regarding the mechanics can be found here. Why would you use a Piezoelectric Sensor? Piezoelectric materials stay operational within a very large range of conditions (i.e. temperature, magnetic fields) and thus hold high value in collecting extreme data, such as those in explosions. Sensors are, in essence, transducers, and many of the other benefits also hold here: the lack of shape limitations, the wide operational ranges, extreme responsiveness, etc. This, combined with very linear input/output relationships, makes piezoelectrics invaluable to laboratory settings. Designing around a piezoelectric sensor can be extremely difficult at times, especially when considering the predetermined input and output operational ranges. Piezo Direct lets you work around that. Instead of designing an experiment around a sensor that only works between 1 and 20 atm of pressure, why not find a sensor that works between your experimental design? Our customizability is something that no other competitor can offer. Many companies who are thinking about integrating piezoelectric components into future products often ask many questions regarding how piezoelectric actuators function in a wide array of products. Here are some interesting information facts about how this growing class of actuators perform. Piezoelectric actuators work just like any other actuator – they convert mechanical energy into electrical energy, or vice-versa. This is made possible by the unique lattice structure of piezoelectric crystals, as internal electric forces interact with elastic mechanical forces acting on the crystal. What sets piezoelectric actuators apart from other types is its incredibly fine precision. Some modern applications require precision to the scale of micrometers. Furthermore, the variegated designs of these actuators fulfill the requirements for a very wide and expanding range of applications. Why would you use a Piezoelectric Actuator? Piezoelectric actuators have extremely broad applications, and similarly, wide operational ranges. Heat, pressure, magnetism, and wear all affect piezoelectric actuators much less than they do other types of actuators. They see the most use in microelectromechanical systems (MEMS), where their precise control and simplicity provides volatility and ease of use when compared to other legacy actuators. 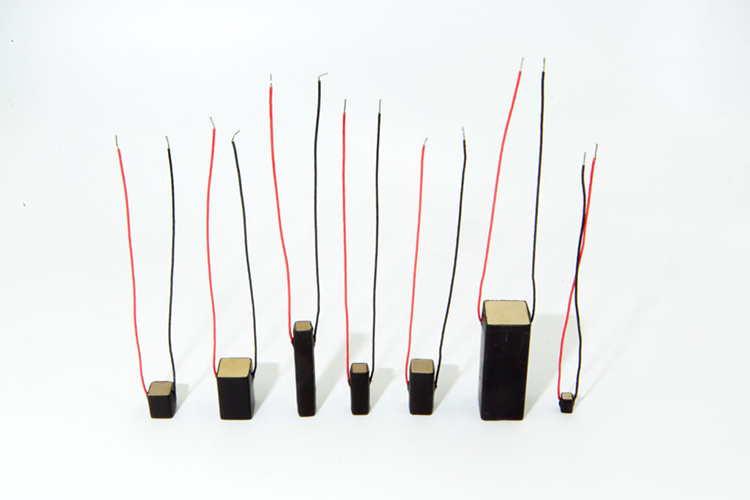 The variegated designs of piezoelectric actuators allow for a wide range of operational voltages; working efficiently in ranges from hundreds to thousands of volts. Piezoelectric actuators may have a very wide range of viable applications in MEMS, but that also entails specificity of design. As MEMS require extremely precise movements and even more precise design, it follows that those looking to use piezoelectric actuators need to be able to produce pieces that can fit any space, voltage, or power requirement. That’s where Piezo Direct shines – we offer one-stop-shop customization on our piezoelectric products, allowing clients to build their products without limitations from individual piezoelectric components. In many cases Piezo Direct becomes involved in helping design and build complete assemblies, or sub-assemblies, that house the piezoelectric actuator component. No other company can provide this type of integrated design capability, often reducing overall cost of production and continuous improvements if necessary. Feel free to call Piezo Direct today, at our Burlingame headquarters, by dialing 650-375-7003. The possibilities are endless for the future of piezo technology. Just last month, NASA announced a collaboration with Georgia Tech Research Institute to build a 40,000 square foot outdoor footpath using piezoelectricity. This project is to show the public how this new and innovative technology could lead us to having self-powered cities. This will be demonstrated at the NASA Kennedy Space Center’s Visitor Complex. How does this project help us to understand the value of piezoelectricity? One of the unique characteristics of the piezoelectric effect is that when stress is placed on a piezoelectric material, they will generate an electric charge. This effect is also reversible, meaning that this material will generate mechanical stress when an electric charge is applied to it. The footpath will operate on solar panels, piezoelectricity, and a small rechargeable lithium battery storing energy. When a visitor steps on the tile, the piezoelectric element will create energy which will light up the LEDs on the footpath. The energy will also be used to power Bluetooth and Wi-Fi for it’s visitors. How much energy does each step generate? Each step only generates a tiny amount of energy, but imagine if this technology was utilized for heavily populated cities like San Francisco and New York. The whole city could potentially operate using the energy produced by piezoelectricity. I believe this technology is the future for modern energy companies. Being able to harness solar energy while utilizing the energy from piezo materials will allow us to have a sustainable energy source in the future. It’s time we start turning over to renewable energy sources in order to prevent our planet from unbalancing our “Carbon Budget” to the point of no return. As our knowledge of this amazing material grows, so will the applications of piezo technology. 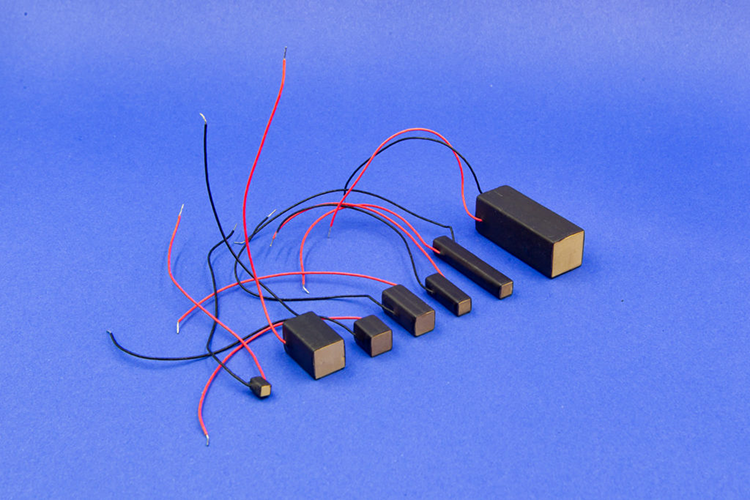 If you are in the market for piezo ceramic products, then look no further. PiezoDirect provides both custom and turnkey piezo components and assemblies. We can make even the most complex piezoelectric components and assemblies to your exact requirements. Piezoelectricity, also called the piezoelectric effect, was discovered in 1880 by two French brothers. They found that putting pressure on materials like quartz created electricity. Today, we know that piezoelectricity is the ability of certain materials like quartz, Rochelle salts, and various other solids, to generate an alternating current voltage when put under mechanical stress and/or vibration. The piezoelectric effect is when a material under mechanical stress produces an electrical charge. All materials that are subject to the piezoelectric effect are also subject to the reverse piezoelectric effect. This is when you apply an electrical charge to a material to produce a mechanical strain. What is Piezoelectricity currently used for? 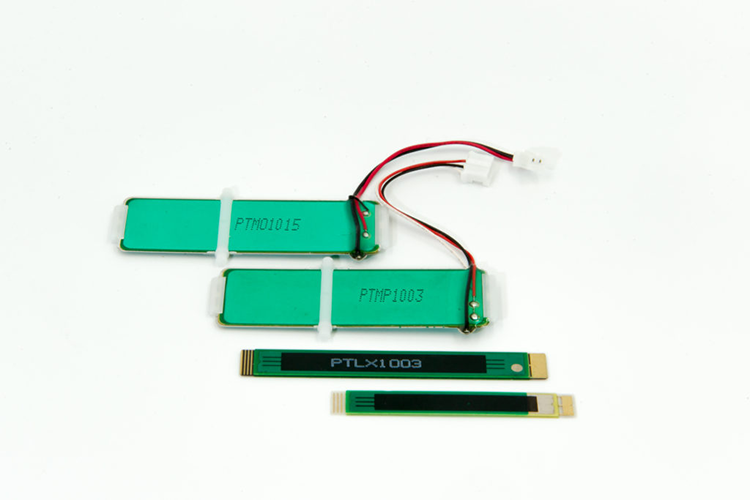 Piezoelectric materials are very common in everyday items like electric lighters, buzzers, microphones, etc. The most common application is the electric lighters. They work by using a hammer to strike a rod shaped piezoelectric ceramic which produces a spark that ignites the fuel. There are also many other applications of piezoelectric materials including sonar systems, ultrasonic imaging and even weapon guidance systems. There are endless possibilities to what the future holds for piezoelectric materials. With the increase in research being done on this subject, we are learning more about the possibilities it can bring. Most recently in 2012, scientists from Berkeley turned a harmless virus into a piezoelectric generator. Imagine how amazing it would be if you could charge your phone just by walking. Piezoelectricity is also very important for the future of nanotechnology. This material could bring a whole new chapter in science and technology. No one knows what the future will hold, but this material will be in the forefront of new technological developments. PiezoDirect specializes in custom piezo ceramic design and manufacturing. We streamline the entire concept to production process which means we are a one stop shop for all your piezo needs. From components to assemblies, we have the capabilities to do it all. Visit our piezoelectric products page to learn more about the various products we can manufacture.